Moving into your university’s halls is both terrifying and amazing. Maybe it’s your first time away from home, or maybe you’ve never lived with other students. 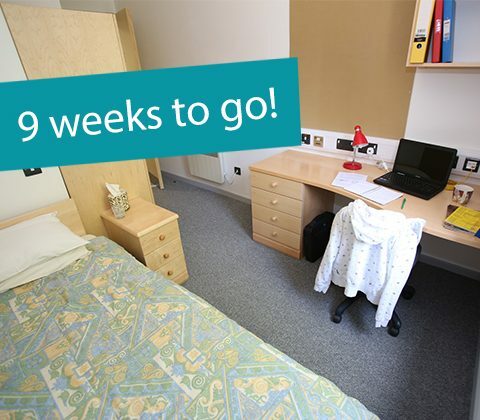 Maybe you’ve been studying before, but this is your first time in student accommodation. The overhead lights in halls are often great for studying, but the white light doesn’t exactly create that nice and calm atmosphere that makes your room feel more like a home and less like an impersonal and temporary living space. Stock up on fairy lights and hang them everywhere! Around your bed, over the window, by the doors and around your desk, just to name a few places. Yeah, they’re a bit impractical to turn off before going to sleep, but the soft lights feel a lot kinder when you’re trying to relax and chill out. Just remember to check that the bulbs are yellow and not white! If you like reading, there’s nothing like seeing the backs of your favourite books on your new shelves, and surrounding yourself with their familiar words if you ever feel homesick. Yes, coursework and core texts are important, but so is a bit of reading for pleasure. Books are also a great ice breaker and are easy to talk about when you’re trying to get to know your new flat mates. This also works for music, films, games, anything you like and want to spend some free time on. You’re moving away from home, but no one says you can’t take a piece of it with you. Bring lots of pictures of places and people you love. Frame them, keep them on your nightstand, pin them up on your notice board. This way, home won’t feel as far away, and you’ll always have the ones you love supporting you. A friend of mine actually kept an orchid alive on her window sill for a year, while I struggled with keeping a couple of cacti alive. Whether real or fake, though, a bit of green works wonders in keeping your room feel fresh and homely. This might be a bit of a weird one, but make sure that you have nice, soft bedding, in colours and textures that you like. Nothing feels as good as going to sleep in freshly washed bed sheets. There is also something special about having specific bedding for the different seasons. Come December, you now know the Christmas bedding is coming out of its drawer, and those kinds of silly traditions can really help make your uni room feel like home. Also, remember to get a throw or a blanket or something to put on top of your bed, as it also works as your sofa whenever you have someone over! Of course, lighting actual scented candles is not allowed in halls, which will lead to setting off the fire alarm and having your entire building be evacuated (very embarrassing!). However, one very important step to making your room feel safe and homely, is to make it smell nice. For this, diffusers are your best friends. You can get them in any price range, some sleek and minimalistic and some more pretty and decorative. Ask your parents for cooking tips before you leave for uni. How does your dad make that really good pasta sauce from scratch, and how does your mum always get the vegetables cooked just right? Try to copy down your favourite dinner recipes, to bring a piece of home into your uni kitchen. It’s also a good idea to stock up on recipes for easy comfort foods and hot drinks you like. The feel of warm bowls and the smell of your favourite drink is often helpful to soothe general stress and homesickness. Soft cosies are all the soft things you reach for when you need an extra bit of comfort, whether because you’re feeling stressed out, sad or homesick. Soft socks, that worn out pair of pyjamas, your favourite mug and the tea that smells like all those summer nights spent stargazing on the grass. Blankets to cuddle up in, extra pillows, your brother’s hoodie. When you’re at home packing and your bag gets heavier and heavier, some of these things may seem a bit redundant, but trust me, they may make all the difference on a homesick uni night. Anyone saying they didn’t want to bring a stuffed animal to uni, is lying. Making your room feel like home doesn’t mean making it feel like your old home, but creating your own, new home. It’s important that you like and feel comfortable in your room, because this is where you’ll study, sleep, relax and invite your friends over, too. Your room is both your place to recharge and gather new friends, so you can to tackle uni together. Good luck on decorating and moving in, you’ll do great! About the author: Andrea is a second year BA (Hons) Creative Writing student.